I have been scared of the dentist for a while – what is it like now? Some people have specific fears about actual areas of treatment – for example, they are scared that having a filling will hurt. Others hate the whole idea. Some people don’t like the thought of being out of control, and others worry about being treated as though they were on a production line. Some people find the sounds and smells bring back memories of bad experiences as a child. Others worry about stories they have heard about other people’s bad experiences. A smaller number of people are genuinely afraid of dental treatment. The good news is that more and more dentists now understand their patients’ fears, and with a combination of kindness and gentleness can do a great deal to make dental treatment an acceptable, normal part of life. And nearly everyone would feel a lot better about dentistry if they knew for certain that they would always be treated kindly and considerately. The first fear to deal with is the fear of admitting to other people that you are afraid of dental treatment. If you can discuss it with your friends or colleagues you are likely to find someone else who has similar problems, and who may be able to recommend a dentist to you. A dentist who is personally recommended by another nervous person is usually a very good choice. It can also be a good idea to look in the Yellow Pages for practices that mention treatment for nervous patients. Don’t be afraid to contact several practices before you decide which one is right for you. It may be easier for you if a friend makes some preliminary phone calls. Ask to speak to the practice manager, and find out if they make any special arrangements for nervous patients. If they don’t sound right for you, don’t make an appointment but go on until you find a practice you really like the sound of. 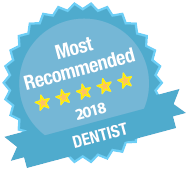 As someone who is nervous about dental treatment, you need to be looked after by a dental practice that will take special care of you – it’s just a matter of finding the right one for you. You may need to travel some distance, but it will be worth the effort when you are no longer afraid. Often people find their fears change. After finally finding a dentist they like, they may still dislike dentists in general, but they have complete confidence in their ‘own’ dentist. There are many organisations that help people suffering from phobias. Most of them also offer help to people nervous of the dentist because it is a very common problem. Contact the British Dental Health Foundation’s helpline ‘Word of Mouth’ on 0870 333 11 88 to discuss your fears and find out about other organisations to contact. I haven’t been to the dentist in a long time – will I need a lot of treatment? Using a fluoride toothpaste will help to strengthen your teeth and prevent decay. Look for products carrying the British Dental Health Foundation logo on the packet. These products have been clinically and scientifically tested, and a panel of dental experts have decided whether the packaging claims are correct before awarding their accreditation badge. It is important to keep up your regular visits to the dentist, not only to monitor tooth decay, but also to help prevent gum disease. Once your mouth is healthy, your visits to the practice will often just be easy sessions for checking and cleaning. Your first appointment should just be for a consultation. See it as an opportunity for you to ‘interview’ the dentist, receptionist and dental nurse. Is the receptionist welcoming and helpful? Is the dentist interested in you? Is the nurse kind and understanding? If you like what you see and hear, you may want to arrange another appointment for a short treatment session, perhaps with the hygienist. Allow yourself to take things at your own speed, and don’t be pressured into anything you are not happy about. Tell the receptionist when you first make the appointment so that she can make a note on your records. Tell your dentist what it is that you particularly dislike about dental treatment. If you think you know the reason, tell your dentist what may have caused your fear. Was it a bad experience as a child? A recent dental experience? Or is it a more general feeling of worry and fear? I am afraid of injections – what can I do? Should I eat before going to the dentist? It is usually best to have something to eat before you go, so there is no chance of you feeling faint while you are in the chair. If you are going to have a treatment, where you cannot eat beforehand, the dentist or nurse will give you full instructions. Take things one step at a time. Discuss any proposed treatment with your dentist, and decide what you feel you can cope with. This may be no more than an examination with a dental mirror first. If you succeed with that, you may feel you could have your teeth polished next, probably by the dental hygienist. Don’t be afraid to say when you have had enough – there is usually no reason to hurry through the dental treatment. Listening to music is a good way to help you relax. Some practices have it playing in the treatment rooms, but the best way is to take a personal stereo so that you can have your own choice of music. In this way you can concentrate on your music – or anything else you like to listen to – and will not hear the sounds of the treatment. You will be able to distance yourself from the dental treatment as the sounds in your ears take all your attention. How can the dental team help me? Your dentist should be happy to both talk to you and listen to you. Just talking about your fears can help lessen them. He or she should tell you what treatment you need, why you need it and what the fee will be. How can I feel more comfortable about treatment? How can I reduce the amount of treatment needed? Your dentist and hygienist can work with you and tell you what to do to keep your mouth healthy. The healthier your mouth is, the less treatment you will need in the future. You will probably be given advice about ways your diet can safeguard your teeth and gums, and the best way of brushing and flossing. Looking after your teeth at home can be the most important part of all. Let the practice manager or the dentist tell you about the relaxation or sedation techniques that the practice may offer. There are various methods available, and it will depend which methods the practice is experienced with and which you feel would help you most. Relaxation techniques can often be learned from specialist teachers or at home and can be very useful in controlling anxiety. The British Dental Health Foundation has a telephone helpline ‘Word of Mouth’ which you can call Monday to Friday, 9am to 5pm on 0870 333 11 88. Patients who feel they need some extra help can be given a sedative medication, often called intravenous sedation or IV. This makes them feel sleepy and very relaxed. Treatment with this type of sedation often works well, particularly for long treatment sessions, as you are very relaxed but still awake. Will I still know what is happening? Your dentist can still talk to you, but time passes more quickly and you are usually unaware of the treatment being carried out. Because the sedative takes some hours to completely wear off, you must have someone to help you get home and to keep a careful eye on you for some time afterwards. Can I have Gas and Air? Gas and Air or ‘Relative Analgesia’ is a mixture of 25% nitrous oxide, 25% oxygen, and 50% air. You breathe it through a nosepiece and it is easily controlled by the dentist. You stay awake, but are unconcerned about the treatment or the surroundings. Recovery time is quick. The mixture leaves the body after just one or two deep breaths of oxygen. The charge will be the same as for normal treatment, but if you are having sedation there will be an extra charge. It is always recommended that you get a written estimate before starting treatment.